Originally from Austin, Texas, blues musician, writer and artist Shakey Graves new website was tailored to his unique tastes and artistic talent. 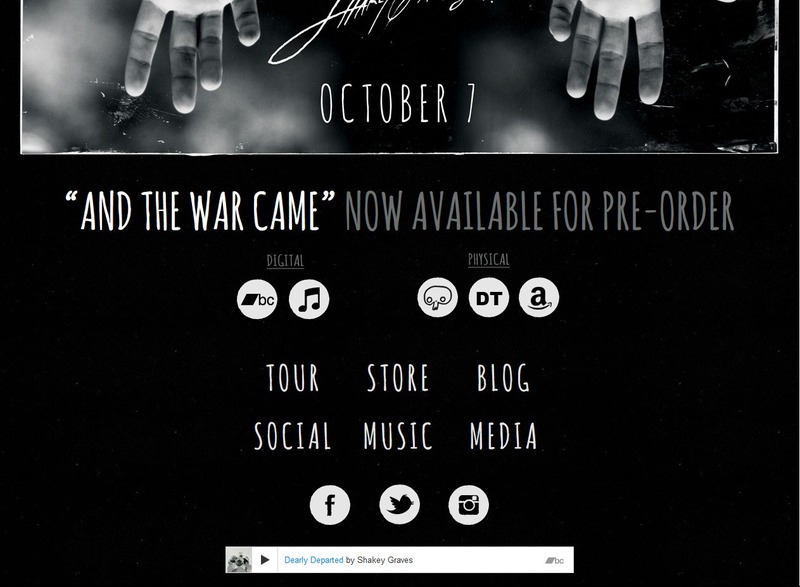 This “minimal/grunge” site was established to advertise his new album “…And the War Came” and to help consolidate his overall online pretense, to enable his fans to have an easier place to purchase tickets and interact through social media. 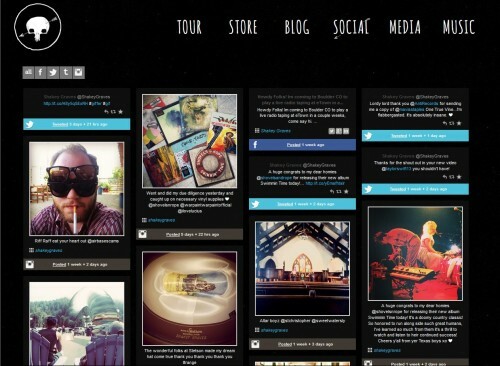 Focused on social media managed by the artist, this mobile responsive website features: full customizable home page for individual album advertising, tour and booking section managed by his staff, and streaming social media feed.